Nothing gets a cocktail party or mixer started like great food. As our amazing appetizers and drinks start hitting the scene, that’s when the magic and mingling of the night truly unfolds. 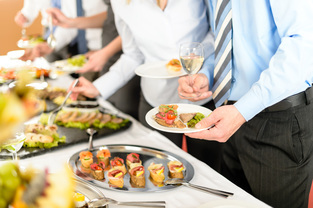 For your cocktail party, you needn’t look any further than Niagara Catering Services to meet your every catering need. 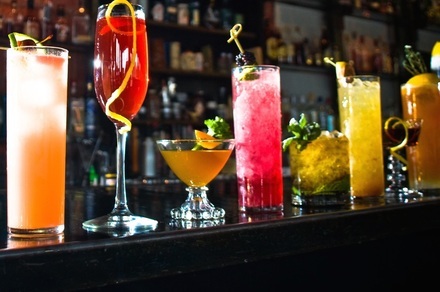 Social events like cocktail parties and mixers are planned to make a statement, a gesture, and to bring a number of people together. We are perfect for open houses, large parties, and intimate affairs. Whatever type of mixer or cocktail party it may be, providing an enriching food experience at your next party is our specialty. Think high class, elegance, and unforgettable food, and that’s exactly what Niagara Catering Services offers. 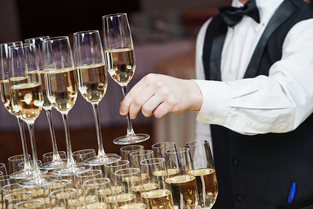 From delicious cocktails to perfectly fine-tuned appetizers, let us make your party or mixer event extra special. Your guests will enjoy themselves with great conversation and our delicious food. Nothing brings friends, associates, and acquaintances closer than enjoying a wonderful evening together. 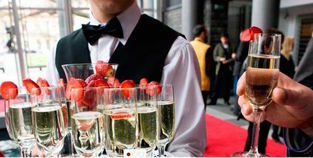 For your next cocktail party or mixer trust no other catering service for exceptional quality and value than Niagara Catering Services. Whatever your serving preferences may be, we can accommodate. If you want a more causal feel, allow us to recommend how to go about it with serving and presentation options. We can also customize your menu, and suggest venue choices for you. Here at our company, we pride ourselves in meeting all our clients’ needs. Let our experience speak for itself. Because we are the premier catering service in St. Catharines, Thorold, Welland, Niagara Falls, Niagara on the Lake and all surrounding areas, you can expect excellence. 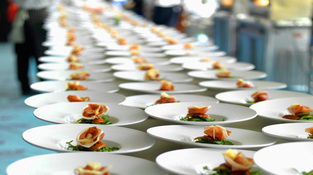 We set a high bar when it comes to catering companies. We also offer amazing prices perfect to meet any budget. Imagine your beautiful event coming together with friends, family, or even co-workers laughing and interacting with one another, while enjoying wonderful food. This picture is exactly what we strive to create with each and every customer. We always pay close attention to detail when helping you plan your event and we feel this sets our company above the rest in the area. Book Your Next Party Call Us Today! Don’t leave your next cocktail party or mixer to another catering company. With Niagara Catering Services, there will be no surprises. We are experienced and have highly trained staff to handle any type of situation. We won’t leave you disappointed. Call us today to set up a consultation. Our friendly staff is waiting to assist you with any catering questions, and help you plan your upcoming event. Nothing gets a cocktail party or mixer buzzing like great food. As our amazing appetizers and drinks start hitting the scene, that’s when the magic and mingling of the night truly unfolds. For your next event, you needn’t look any further than Niagara Catering Services to meet your every catering need. Cocktail parties and mixers are planned to make a statement, a gesture, and to bring a number of people together. We are perfect for open houses, large parties, and intimate affairs. 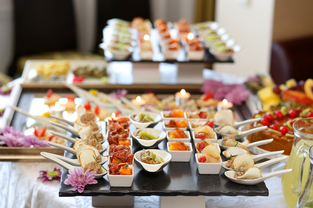 Whatever your event may be, providing an enriching food experience at your gathering is our specialty. Let us help you with planning any cocktail party, mixer or catered brunch tea party events. We offer casual to fine dining experiences. Our food is exceptional and our services provide you with convenience and affordability. Fill in the form on this page or give us a call at 289-273-2266. We hope to serve you soon!